You need someone who knows this area inside and out! We can work with you to find the right home at the right price for you, including all the neighborhood amenities that matter - not to mention the essential criteria you have for your ideal home. 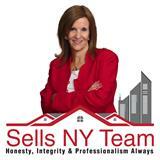 Margaret is an Accredited Buyer Representative and works for you, as her clients! When it's time to move, you need someone who will advertise your home, develop a marketing strategy, show to prospective buyers, negotiate the purchase contract, arrange financing, oversee the inspections, handle all necessary paperwork and supervise the closing. We can take care of everything you need, from start to close.